Booths & Tables are Custom Made in the USA! Click below for catalog of Booths, Tables, Chairs, and Stools! for business and the home. BUSINESSES: We carry a complete line of restaurant booth seating. 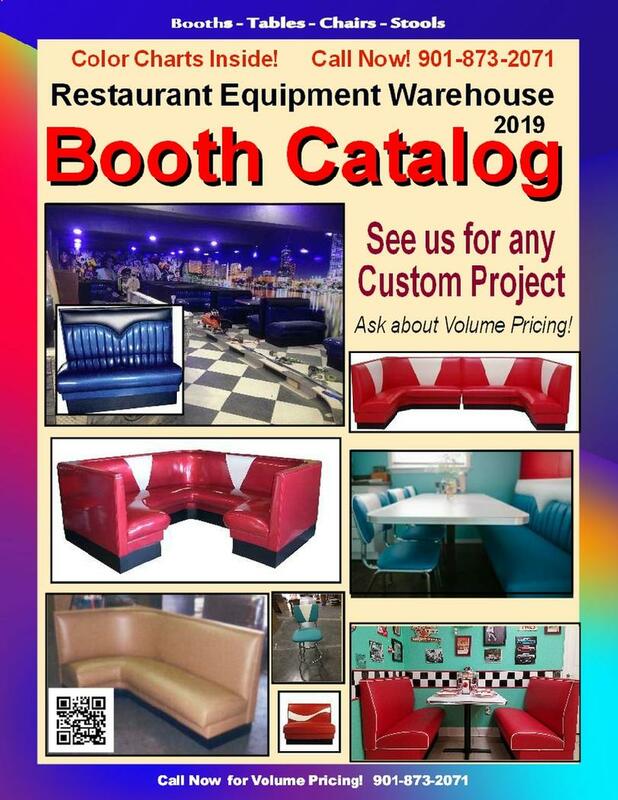 Our retro diner booths and booth sets, diner chairs, aluminum edged tables and floor mount bar stools will put the sizzle in your restaurant, diner, ice cream parlor or bar. HOMEOWNERS: How about a diner booth set for your home? These quality furnishings will look just awesome in your home's kitchen, game room, dining room, basement, bar, game room or office. This is not just some look-a-like as seen on some web sites. This is genuine quality, commercial grade furniture. CUSTOM ORDERS? No problem! Send us your design and we will get you a prompt estimate. We carry carry a full line of quality products such as furniture, equipment and supplies for restaurants, hotels, churches, convenience stores and bars.